We offer RMT Massage and other Traditional Chinese Medicine treatments in the heart of downtown Toronto. Founded in 2012, Tuina Toronto is dedicated to providing effective massage and other TCM treatments in a safe and comfortable environment catered to our clients' unique health needs. Tuina (推拿) massage is a form of Traditional Chinese Medicine (TCM) that addresses patterns of disharmony in the body through improving the overal Qi energy flow throughout the body. Though a relatively new practice in the West, tuina massage has been practiced in China for over 2,000 years. Tuina works by applying pressure to acupoints, meridians, and groups of muscles or nerves to free the flow of Qi energy throughout the body. This allows the body to naturally heal itslef and leads to improved overall health and vitality. The greatest advantage of tuina it it focuses on maintaining overall balance to physical and mental health, and thus often ends up causing improvements to the whole body, not just a specific area. 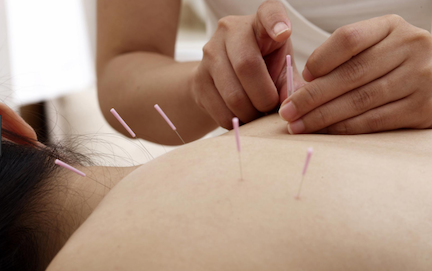 Acupuncture is a holistic health technique that stems from TCM practices in which trained practitioners stimulate specific points on the body by inserting thin needles into the skin to improve the flow of Qi energy throughout the body. 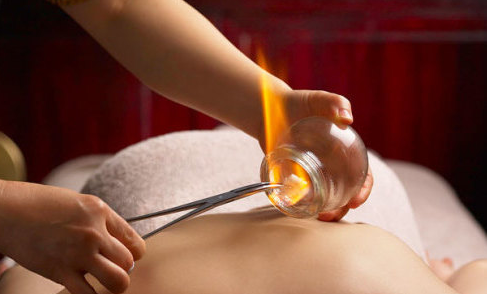 Cupping therapy is an ancient form of alternative medicine in which a therapist puts special cups on your skin for a few minutes to create suction. It can treat pain, inflammation, and help to improve blood flow, relaxation, and overall well-being. Guasha is an ancient healing technique where a smooth-edged instrument is used to apply strokes on the skin in the area of pain or on the back parallel to the spine. This helps to promote the smooth flow of blood in the area, thereby relieving pain. Our massage practitioners are also trained to perform Shiatsu, Thai, and Reflexology Massage. Many people have private insurance plans through their work or a spouse or they may pay individually into a plan. Many of these plans cover registered massage therapy (RMT) or Acupuncture treatments. If you do have coverage, you will need to confirm the limits of your coverage and whether a referral is required. When you attend for a treatment session, you will pay for each session and then receive an official receipt that you will then submit to your insurance company for reimbursement. Please get in touch to book an appointment or if you have any questions about our services. We are conveniently located on the second floor of 116 Dundas St. West, between University Ave. and Bay St. and a two minute walk from both Dundas and St. Patrick subway stations. We have recently moved into a newly renovated, spacious and quiet studio on the second floor of 116 Dundas Street West.